YOUR SKIN will be tighter & have a beautiful glow that sparkles and shines through a special formula, Versol. 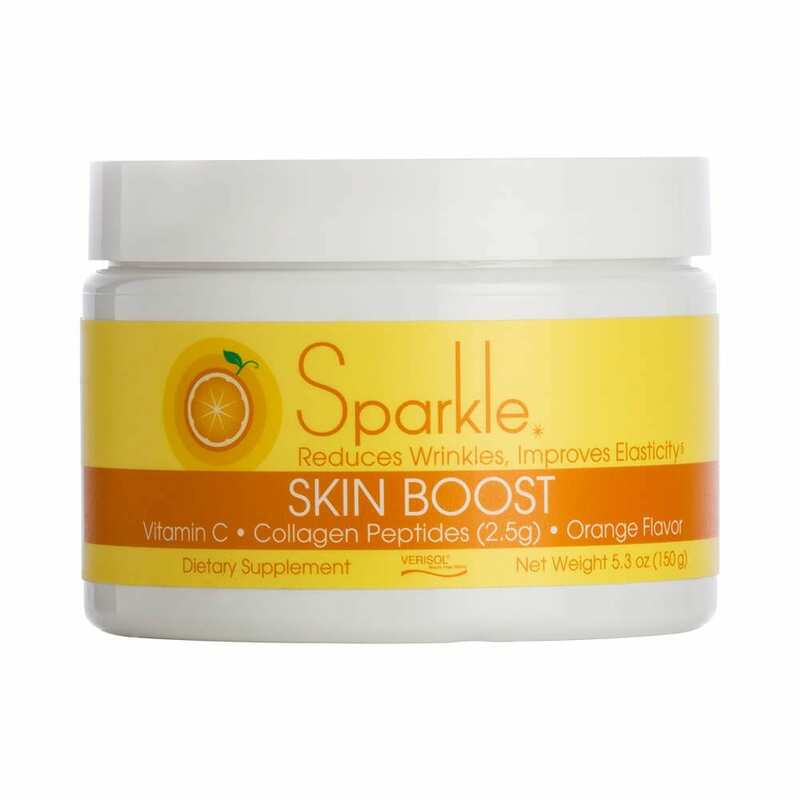 It combines vitamin C and bioactive collagen peptides which are created with clean ingredients! LUPUS joint stiffness can be minimized. 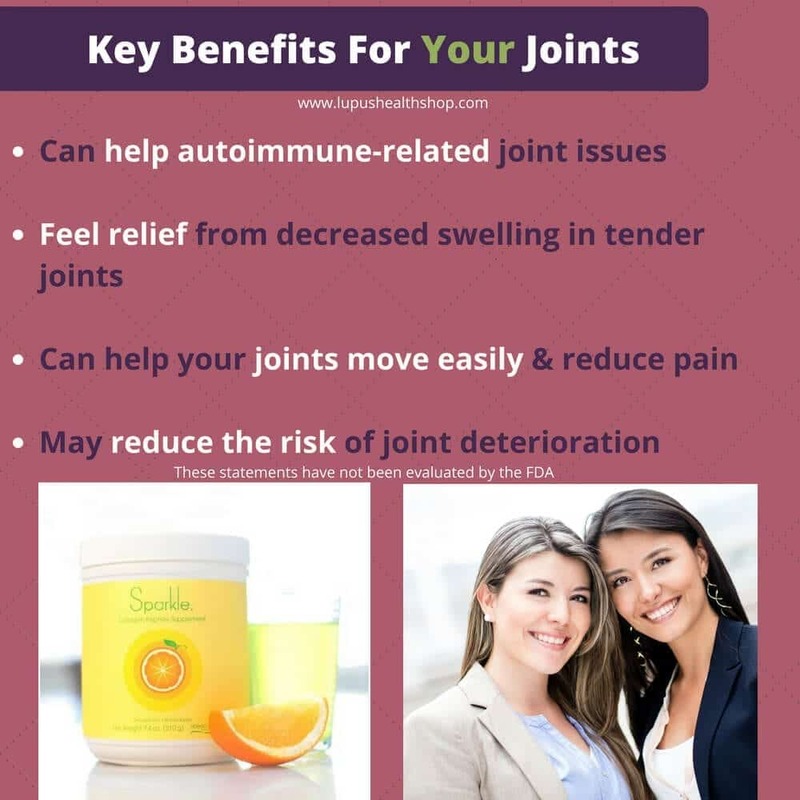 Feel the difference when moving from different positions as you can have better joint support from increased production of collagen type 1 using Sparkle’s Skin Boost powder. 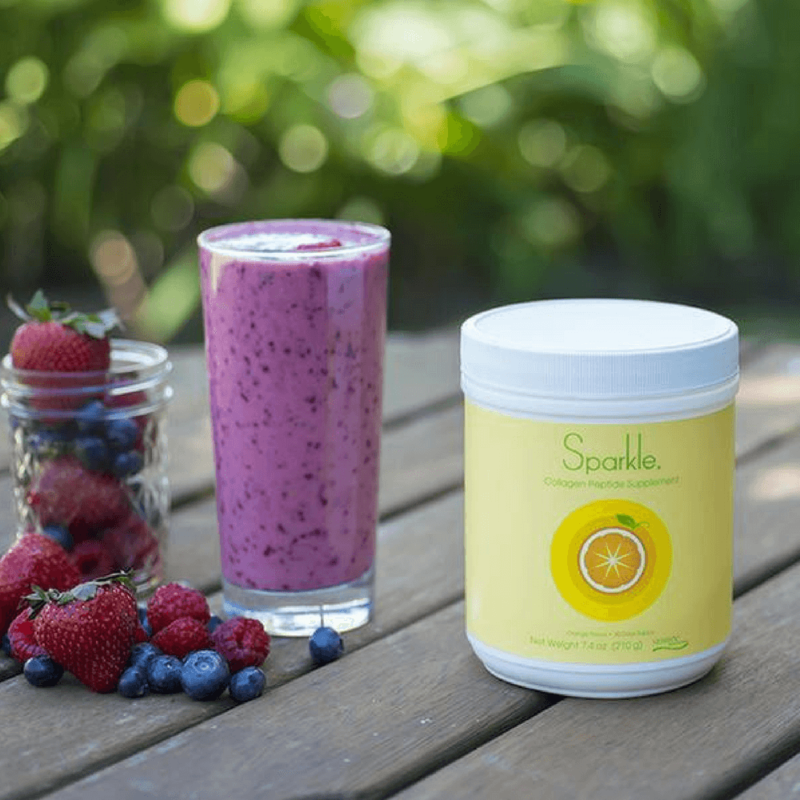 CLEAN ingredients: Gluten-free, dairy-free, soy-free, no artificial flavors either! It’s sweetened with Stevia. This works guys! I need to give it 5 stars. 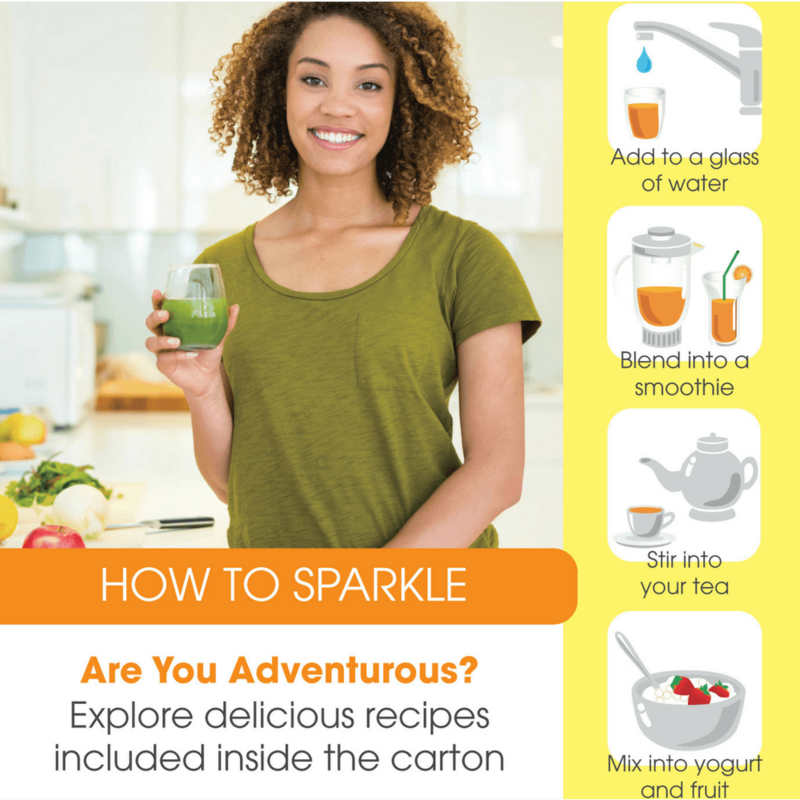 I use the flavorless so that I can put it in pancakes or my morning juice, smoothie, tea, literally everything. It took about 4 weeks like it said for my skin to be noticeably different. Then, the 2nd month, my joints were less sore after my light workouts that I started doing around the same time I did this. Usually when I work out, it takes like 3 months for the pain to decrease as my joints are in rough shape from the lupus and arthritis. THANK YOU! I have spent so much money on expensive creams from Clinique, Dior, random oils and it takes 3-4 months to see a TINY difference in wrinkles under my eyes. Sparkle is MAGIC. I can’t believe that my forehead wrinkles have disappeared. Seriously. Nothing worked. The wrinkles under my eyes and around them have decreased so much. So much, that I don’t get ID anymore when I go out. I’m 27 (yes, still young, but with chronic disease, your skin dries out and wears out quickly). I used to be called “mam” and get didn’t get ID’d. Now, people call me “Miss”, they think I”m 21. I will use this for as long as I love. IT WORKS! As a bonus, it has helped decrease my morning joint stiffness! So, this really is a 2 and 1 combo! I LOVE THIS STUFF!! My husband, who works with herbs & supplements, thinks this is an Incredibly excellent combo! He’s absolutely right! I feel full after I take it in the AM, it tastes amazing (orange), and it has decreased cellulite much faster with the brush as compared to before without it. PLUS, I wake up less stiff in the morning. AND It has helped my skin become tighter around my eyes and mouth, literally glowing more, and it dissolves completely in my drinks, NO CLUMPING! THANK YOU! Its been about 1.5 weeks and i like it! I add a scoop to at least one bottle of water per day. I like taking it in the am or before bed because It reduces my appetite (giving me a full feeling) and the flavor is good. I understand that collagen is great for hair, nails and teeth, bones, joints and can help improve skin health by boosting skin moisture, enhancing elasticity and reducing cellulite and stretch marks. It’s too soon for me to confirm all of this myself but this product makes me smile knowing that it is helping me on the journey to a healthier being. Can’t get enough of this! My joints are more protected, in less pain. My joints in my hands feel worse if I miss a few days. I see a difference in my skin, glows less and fine lines come back if I don’t give them the nutrients they need, plus it’s only $20 and easy to use. I put the flavorless in my coffee, cereal, or whatever I have in the AM. I’m hooked! Love it for my joints & skin. It does exactly as described and it’s way cheaper than having to buy multiple products and spend money on expensive creams. 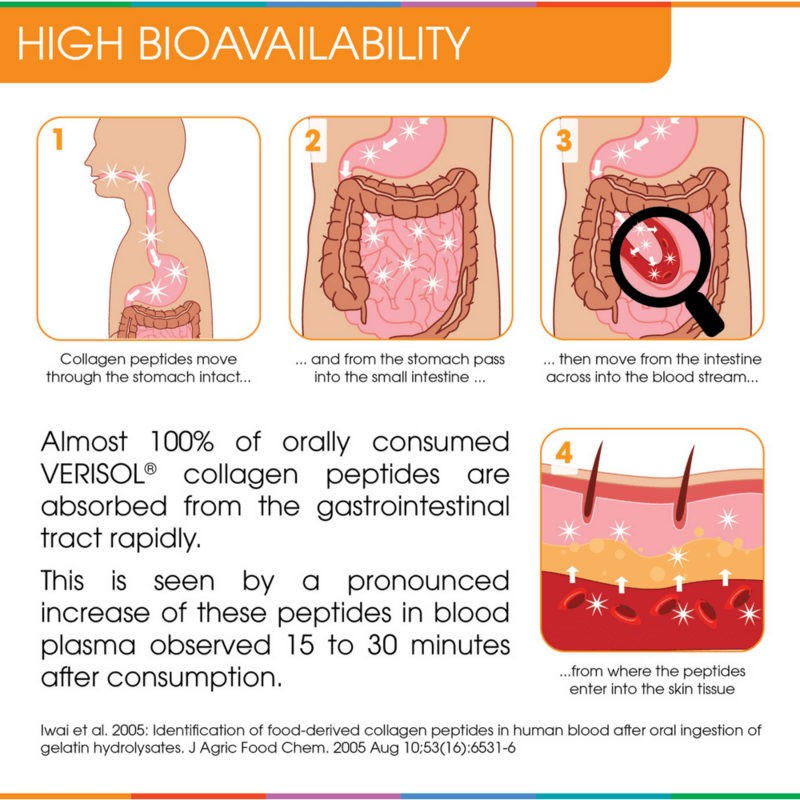 Collagen is the best nutrient for all different parts of our body, this is the best solution! started noticing a difference in 2 1/2 weeks, saw and felt a complete difference starting the 5th week ( I bought 2) and this is my new go-to! I’m 38, tired, achy, and look it. Now, I get compliments on my skin and my joints are thanking me! Less stiffness! 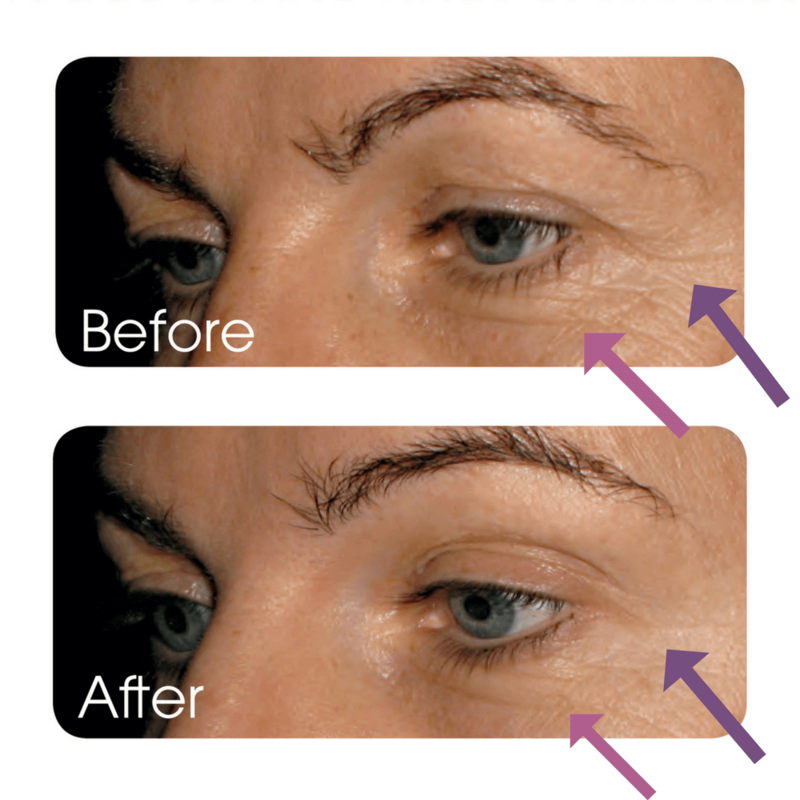 When it comes to Lupus, clean ingreident collagen supplementation is SO important. Lupus can affect your connective tissue & joints quite easily causing damage, inflammation, stiffness, extreme pain, and immobility. Not only can it reverse the signs of hair loss, decrease wrinkles and put that glow back into your skin, it is a highly absorbable compound that increases joint mobility, flexibility, and strength. It buffers our bodies from shock and vibration from the amino acid Proline. Cardiovascular health is better supported and protected by the amino acid Proline. 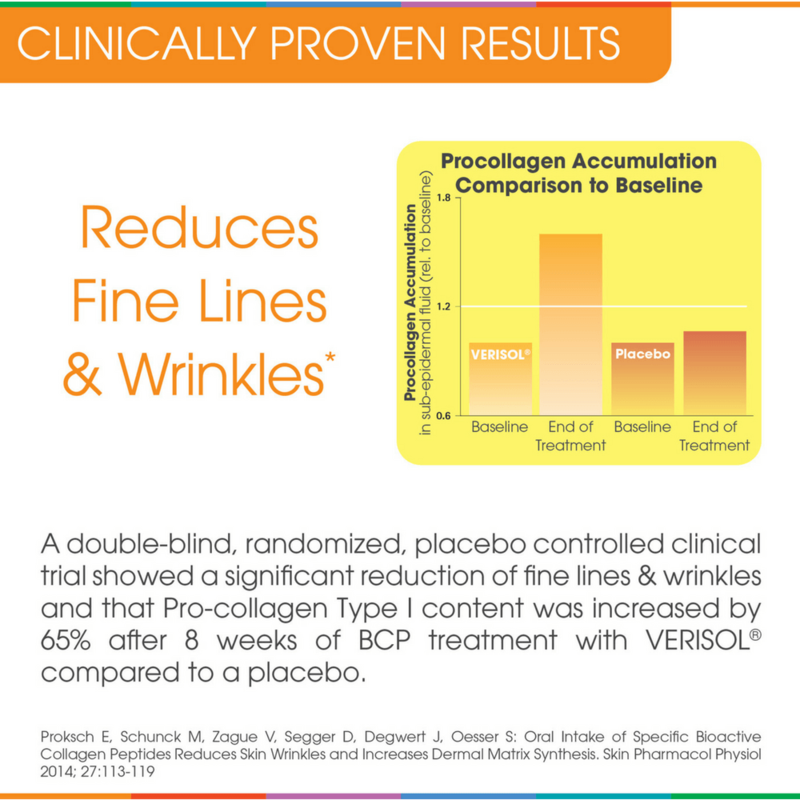 Proline is needed for tissue repair within the joints and arteries and it helps control blood pressure. It’s also linked with the prevention of arteriosclerosis (hardening of the arteries) since it helps our arteries stay clear of dangerous plaque buildup. Take your first step today in preventing joint stiffness and fine lines and wrinkles. 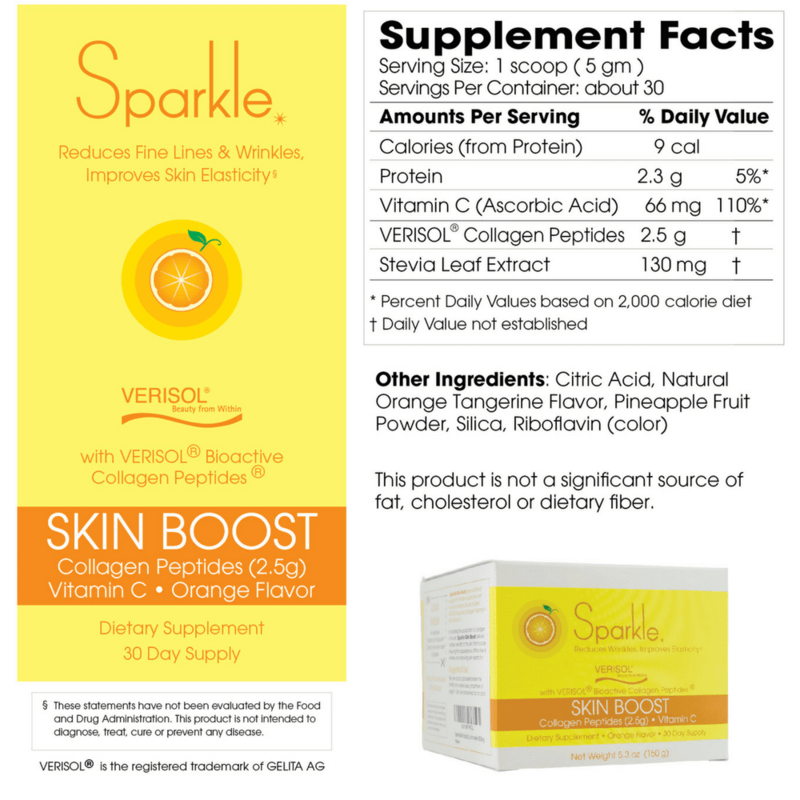 You can minimize the damage, pain, and discomfort with Sparkles Collagen Skin Boost Plus powder or pill. pour 1 scoop into 8oz glass of water, juice, tea or mix in a smoothie. For accurate measuring, only use the scoop it came with. Apple ginger – Crisp apple taste followed by a hint of spicy ginger. 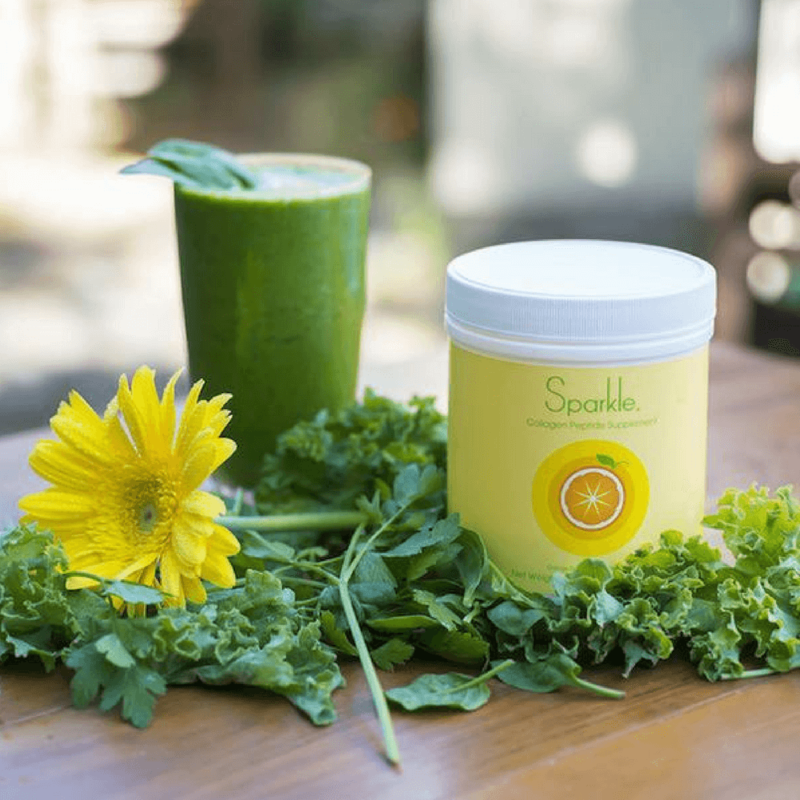 Gain back a light-from-within glow and a smoother, more radiant complexion with Sparkle Skin Boost supplements.